Price & Convenience: The interesting part is, Waves offers separate equalizer plug-ins in the Studio Classics Collection modeled after the API, SSL, Pultec, and Neve. These plug-ins are limited in usability and often have set bandwidths, harmonic distortion, frequency selection, and gain due to mimicking the actual hardware. While the simplicity of use can be commended, I feel it is a no brainer to choose the H-EQ. For hundreds less, you get an EQ that gives you the all of the classic curve and filter choices as modeled on API, SSL, Pultec, and Neve PLUS, an asymmetrical curve and powerful digital curve. You can easily mix and match to really shape tone. 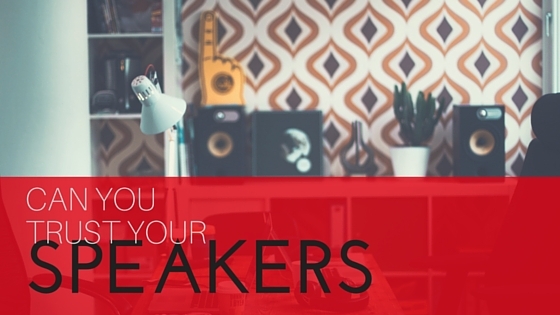 A good example would be starting with a high pass Neve filter, Pultec low shelf, API Mids, Pultec High Shelf, Digital low pass filter etc… Before this would have taken many instances of different plug-ins, but can be accomplished in ONE instance. The price is right and the value is simply tremendous. M/S (mid-side): M/S mode on the EQ allows separate processing of the mid and side channels which to me is an absolute must for many applications. M/S adds a new dimension to equalizing and allows for greater control over tone and image. Analyzer: The built in analyzer is a wonderful for tool for seeing real time frequency content. The analyzer can be pre or post EQ and more importantly, can be turned off when you’d rather not be influenced by visual information. It also offers peak hold and a freeze option when you need these features. Musical Relationship Keyboard: Beneath the analyzer lies a piano note keyboard which directly relates to the frequency above. (A 440 would be should at 440hz.) 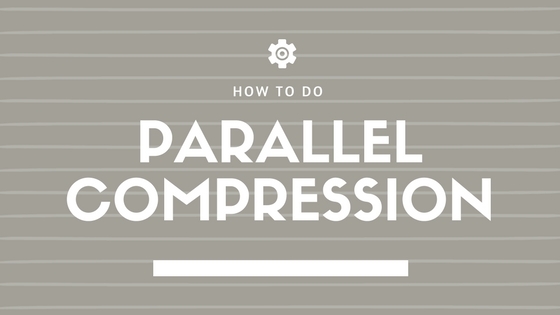 This can be useful for cutting inharmonic nodes and boosting frequencies within the song’s key signature. I do not know of any other EQ plug-in which offers this feature, but it has its useful applications. Total Harmonic Distortion (THD): The plug-in allows you to control the percentage of THD occurring ranging from 0-1000%, thus magnifying the intensity far more than the original hardware. You can also select which model of THD fits your source material best. The analog hiss level can also be controlled with a setting between 0-100% and can be modeled on different hardware. (I personally like to leve this at 0). 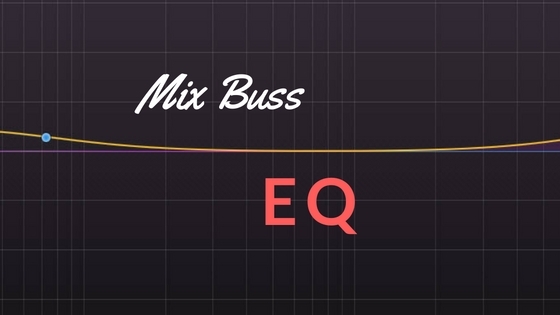 The plug-in has some useful (and some not so useful) artist presets, which highlight different methods of mixing and matching curves, especially ways to use the new asymmetrical curve. The only feature I feel the plug-in lacks is the linear phase capability, which would make this plug-in a much better candidate for mastering application. 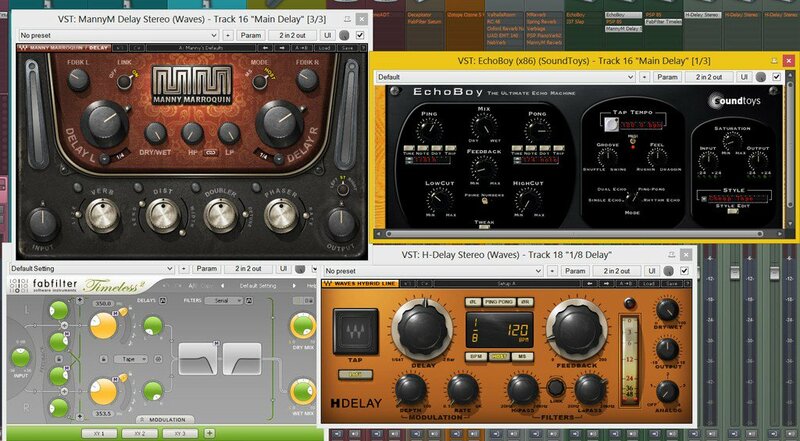 Overall, it is one of the most versatile and useful plug-ins around. 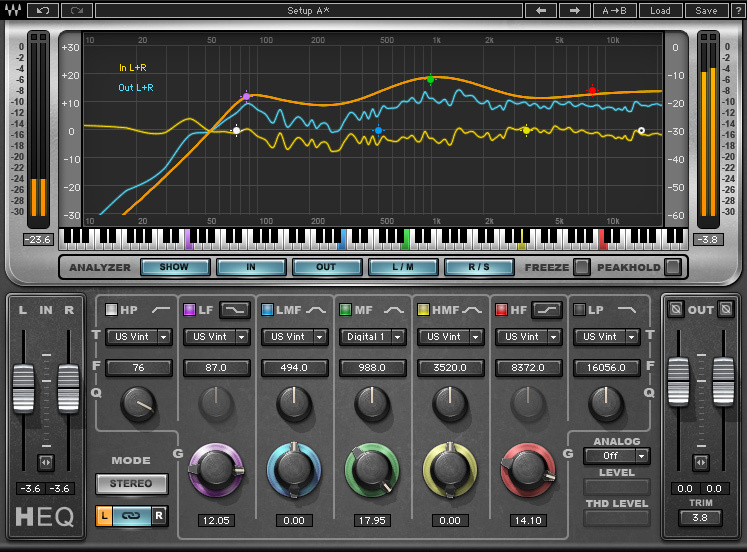 Wave's H-EQ is a versatile and unqiue equalizer plug-in.